I thought I’d start this thread as a “support group” for this of us who know we are going to make the leap from FSX and/or P3D to X-Plane 11, but haven’t done it yet. Even an old flight simmer like my self (started with subLogic’s Fight Simulator for Commodore 64 in 1984) has so many questions, not just about X-Plane 11, but also about leaving FSX (in my case) behind. Also, while not a huge fan of FSX ATC comms, at least it has ATC comms. I found the requirement to plan an IFR flight in X-Plane in order to get any ATC, rather annoying. It was pretty much those two issues that kept me from even trying the X-Plane sample. But now…from what I gather from this and other flightsim sites, X-Plane 11 is better at “populating” buildings at airfields. I haven’t heard about ATC. Still, the planes and other things I’m seeing on X-Plane.org–and the positive statements about it from respected members of this site, have tipped the scales for me. If your system is borderline, we encourage you to try the demo first. The full version of the simulator will perform exactly the same as the demo —neither better nor worse. Same question, but if I want to go VR? Does anybody have the Mac version? I’ve got an iMac about 4 years old, that I use for my flightsim work. I would recommend trying out the demo. If you can crank up the settings to get a good experience then you should be in good shape. I have a i7 6700 3.4 Ghz CPU, 16 Gb Ram and a GTX 1080 graphics card. I can crank the settings to max and it is still flyable (20-30 fps). For VR I have to tone it down a bit (of course). It still looks great in VR though. For performance, what @PaulRix has said. I find XP11 good for performance, and the level of detail with either paid scenery, stock or ortho4xp is very impressive. 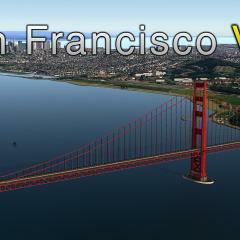 For ATC, for VFR it isn’t really there as yet, although it is what they are working on as their ‘big new feature’. The IFR ATC is getting there, with the recent advance being decent text to speech engine updates, paving the way for them to expand it more. It’s neat as it actually pronounces airlines, places properly. The other thing with XP11 is just the sheer amount of free stuff. It seems like the community has really grown with XP11 coming together now, so a good time to take a look at the demo. Out of academic curiosity, has anybody compared the performance of XP between Windows and Linux since they switched to Vulkan? They aren’t switched just yet. There are at the stage of changing the shaders (and breaking a few mods that relied on them, even though they did sort of announce they would break them) to reorganize for Vulcan. I believe they said last it could be around Feb for an early look, although it is quite the rewrite. And with my litle below recom specs - i5, 16GB RAM, GTX 1060 6GB VRAM - I have 50-55fps on custom scenery Alan-Burovs island at 1080p and High ( HDR ) settings with reflection detail off. With reflection detail High I have 30-45fps. Well. That is pretty good! One of my Flightsim PC’s is about those specs so that will be the one I try it on. Thanks for the test! Reflections? Water (lakes, oceans, etc.)? Or general reflections off shiny stuff? It is funny (actually not) that over a decade after FSX was launched, I still cannot put my water sliders past the middle settings if I want any kind of performance. I have put them to High and it mostly adds the reflection of the sky, which helps on sim immersion…but at the expense of flying a “side show”. Its reflections in general I gues, water and stuf, single slider. But I use mainly XP10 modules so cant tell by the externals. I can live with that one off. Imo XP11 looks very good on MAX setings but it is still not photorealistic quality especialy in regards to scenery. With custom sceneries like OrbX south England scenery we are going there. But still not there, so I am ok with HIGH. OK…so like in this Carenado video, it wold be all the reflection from the shiny parts of the fuselage…and the annoying shiny Yokes? …but comparing default S76 with reflections MAX and MIN it is obvious that Visual Efects are responsible for shiny aircrafts with shiny parts. TrackIR: The curves I use for FSX and DCS are rather “sporty” in XP11…I have to keep my head almost perfectly still for a normal view and if I want to twist a knob? I have to freeze it. (I know, I know, I need to get VR, but in the mean time…) Unless I have missed something, I see that you need to adjust it with the TrackIR app, not in XP11. The standard dead-zone profile is a bit better than my FSX/DCS set up. Have others experienced this and are there any recommendations? So I assume I need this: Ortho4XP terrain. 3D People Library (3D_PEOPLE_LIBRARY.ZIP), CDB library (CDB_LIBRARY.ZIP), The Handy Object Library (THE_HANDY_OBJECTS_LIBRARY.ZIP), JB Library (JB_LIBRARY.ZIP), FF Library (extended version) (FF_LIBRARY_EXTENDED_LOD.ZIP), MisterX Library (MISTERX_LIBRARY.ZIP), World Model Library (WORLD2XPLANE.ZIP), OpenSceneryX (OPENSCENERYX.ZIP), PM Object Library (PM_LIBRARY.ZIP), R2 Library (R2_LIBRARY.ZIP), RA Library 1.2+ (RA_LIBRARY.ZIP), RD_Library (RD_LIBRARY.ZIP) and the RE Library (RE_LIBRARY.ZIP). Yeah, I had to adjust the curves way down in TiR sw. Not at my gaming rig, but will post my settings asap. My custom scenery inside. Libraries kind-of in the middle. For library stuff just get what you need for other packages e.g. Most Mister X stuff is a must have, and uses the same dependencies. The next step in the “big leap” - just installed ORBX True Earth Southern UK - despite a very log load time - it looks great! Unfortunately right now it is a bit of a “slide show” with FPS in single digits…perhaps I should read the manual.